If you’re a lover of tropical or freshwater fish have we got the list for you! No matter if your fish are in a tank, a bowl or a keeping them well fed and healthy is part of the deal. Your fish are in a small, enclosed space and if you’re not vigilant about keeping their tank clean, and keeping your fish well fed and cared for well then, soon enough you’ll be an ex-fish owner. That’s just the way it is. Controlling your fishes environment is all on you since it’s a closed system. And that means constantly checking the temperature, the salinity (if you’re doing salt water) and keeping your tank clean. The same goes on a larger scale if you have a larger outdoor fish pond. But, in the long run, everything boils down to food. This is true for any living thing in all the earth. Humans, cats, dogs, fish, even plants, and trees. We all need the nutrients our bodies require to survive and can appreciate finding the most delicious way to take them in. The hard part is finding a food that fits the bill health-wise, taste-wise, and nutrient wise. This is also true for all living beings. For this update, we've included two new products as well as updated all of the old links. It's tough finding new fish food products but we tried to lean towards protein-rich whole foods that'll keep all kinds of fish health and well fed. The odds are good that you are here because you need to find that balance for your fish. Whether you’ve had fish for a long time and are looking for a new type of food for whatever reason, or you are new to owning fish and need to figure out what is best for your new little friends, you have come to the right place. Food can make all the difference in the health of not only your fish but also your tank or pond and it is not a decision to be made lightly. You’ll need to consider all of your specific needs in addition to the needs of your fish. Let’s do just that and go over some of the best foods you can get! 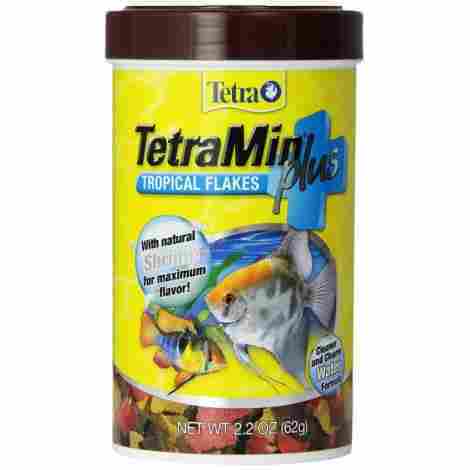 This is a fish food that is good for all types of tropical fish. 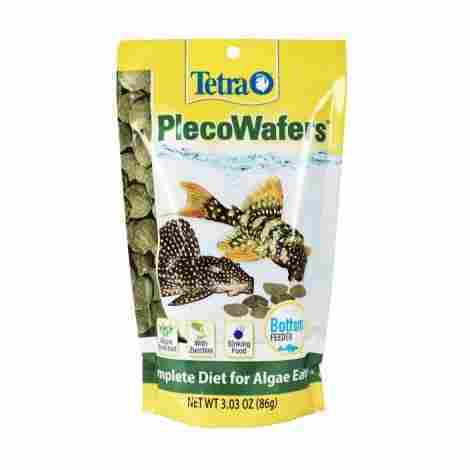 It is nutritionally balanced and will support a long and healthy life for your fish, in addition to enhancing its color. This food is enhanced with vitamins, minerals, and trace elements that will help support the immune system of your fish. Your fish will love the flavor and you will love the benefits as well as the fact that it will not crimp or collapse and leave you with sawdust at the bottom of the bottle. 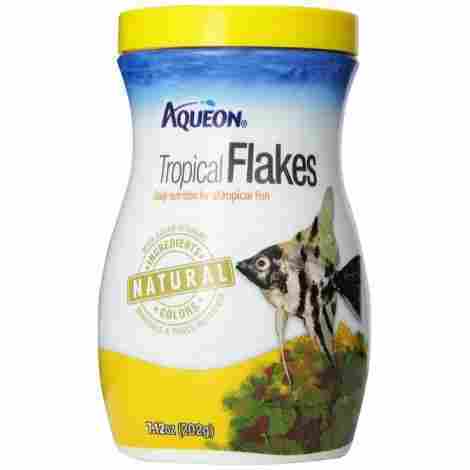 This fish food is made of a high protein fish meal that enhances the digestibility of these flakes. Greater digestibility means less waster, which means cleaner and clearer water. Your fish will eat more of the flakes, leaving less waste. Plus they will make less waste. Everyone is winning here. Part of being a sound nutritional meal means added shrimp flakes. These flakes have the taste and smell of real shrimp and your fish will go crazy for them. They naturally attract aquarium fish and they will love this food because of it. The added shrimp maximizes the flavor of this fish food. This is a quality fish food for the price. You are getting a good amount that will last a while, depending on how many fish you have, obviously. It will keep your fish happy and healthy. In addition, it will keep your water more clean and clear which will lead to less water changes - which ultimately makes it worth even more. Less water changes means less effort and expense on your part in the long run. You, and your fish(es) will be happy with this purchase. We really like this product because it is exactly what it says it is. 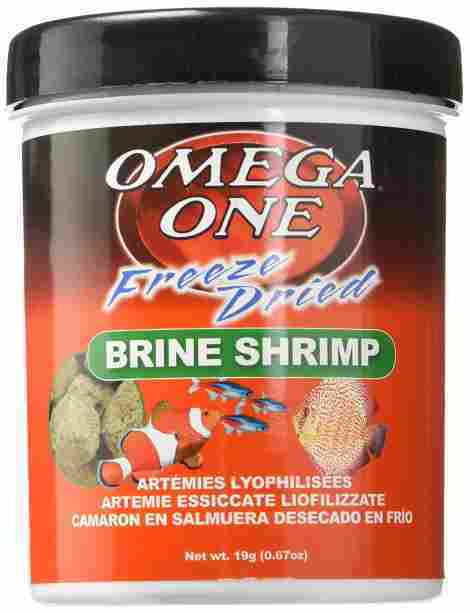 Freeze Dried Brine Shrimp. Simply drop the pellets into your take and as they rehydrate you’ll see whole and complete brine shrimp dissolving off of the pellet into the mouths of your waiting fish. And from the reviews, we’ve seen fish go crazy for them. If you’re dealing with just a few fish the pellet is also fairly easy to break up into little chunks so it’s easy to control portion sizes. Brine Shrimp aren’t much more than tiny little bundles of protein in any case, but the freeze drying process retains that protein and keeps it in a form that you’re fish are likely used to eating in any case. As the pellets dissolve in the water you can see each little brine shrimp as it rehydrates off of the pellet. It’s a great way to deliver the food your fish is used to eating directly to them. This is important because some other feeds will sometimes replace Brine Shrimp with Mosquito Larvae. They look alike sure but the shrimp have a lot more protein and they’re the natural food of the fish, so the fact that the company stands by their product in this way gives them some solid cred. Cheaper’n’dirt. This is good stuff in a small package. It doesn’t quite make our best value spot but It’s close. The commitment to quality and the actual high protein feed make this a great solid product for your fish. But wait, I don't have a tropical fish, I have a goldfish! Which fish food do I use? Fear not, there is a food formulated specifically for goldfish as well. Goldfish are cold water fish so their food needs are just a little bit different than tropical, warm water fish. 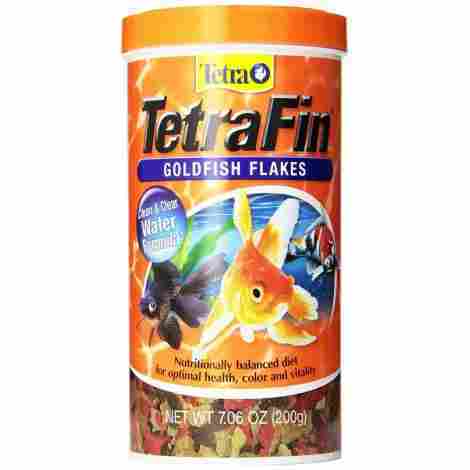 This Tetrafin Goldfish specific fish food will satisfy all of your goldfish's needs nutritionally and flavor wise. This fish food is specifically formulated to meet the needs of your cold water goldfish. it includes Omega-3 fatty acids to ensure that they have all of the healthy fat that they need to thrive. It also has immune boosting ingredients such as biotin and vitamin C. There are not many things worse than a sick fish. In addition to all of that, the flakes stay firm when the fish strikes rather than disintegrating. This fish food really seems to be the type of food that picky fish prefer. It is hard to tell when a fish likes or dislikes something, but it is easy to tell when you can note how much and often they are eating. More often than not fish will gobble this food right up and will even eat it more frequently than others out there. They thrive and do well on it and seem to produce less waste since it is scientifically formulated to be just what they need. 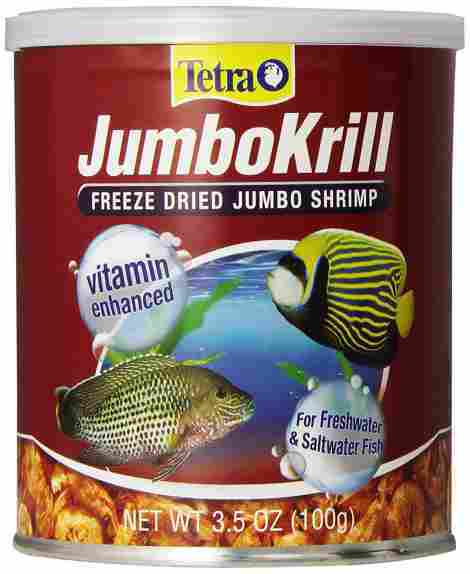 You get a great bang for your buck with this fish food - particularly if you buy from Amazon. You'll get a decent amount of food and not have to go out buying more regularly. Fish do well on this food and seem to enjoy the flavor. Overall, this is a good buy if you have hungry goldfish to feed. Another product that is exactly what it says it is. These are large freeze dried shrimp that will slowly rehydrate once you put them in your tank. They’re good for freshwater and saltwater fish and they’re high in protein and roughage and Vitamin E, all things your fishes need to stay healthy. And since they’re natural shrimp their carotenoids will actually enhance your fish’s natural color. This keeps them fresh. And while we’re at it, it make sense to keep these in the refrigerator and they do have a use by date so this food is going to need a bit more upkeep than you’re used to but it’s worth it with the high amounts of protein and carotenoids that are going to keep your fish healthy. Truth in advertising you get what it says you’re getting while freeze dried shrimp that will hydrate once they hit water and provide your fish with all kinds of healthy nutrients as well as roughage as well as natural colors that are going to enhance your fishes natural coloring. 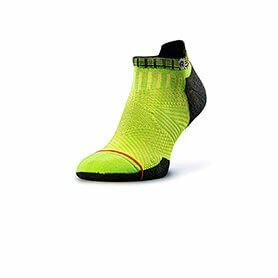 This comes in at the mid-range but you’re getting a lot for your money with this product. Just the fact that you’re getting whole shrimp is good enough, but the attention to detail, the vacuum packng and the sell by date suggest Tetra is committed to providing a quality product for a reasonable price. Plus your fish are going to love it. Here is yet another Tropical fish food. The fact of the matter is that most fish available to buy are going to be of the tropical variety. This fish food will feed a wide variety of fish and keep them happy and healthy while doing it. It is made of all natural ingredients and colors and also has ingredients to help your fishes colors really shine through. Unlike many fish food options out there, this one is made of natural ingredients and colors. Its special formula makes it so that your fish are utilizing more of what they eat and wasting less. It is made to support their immune system includes added vitamins, minerals, and trace elements. There are not many things as fascinating as a fish whose true colors are shining through nice and bright. It can almost be enchanting watching them swim around in all of their glory. This food contains a higher concentration of the things that really help your fish to shine - things such as spirulina, marigold powder, and chili powder. This fish container is huge and really doesn’t cost much at all. Your fish will happily eat it and as long as you feed appropriately, it won’t pollute your tank with food waste either pre or post-consumption. You are getting a lot of food for not a lot of price (at all) and it will last you a good long time. Not everyone has indoor, warm water fish. Some prefer pond fish and have them outdoors. Feeding them the same food would be nonsense and there are specially formulated fish foods for bigger pond fish as well. 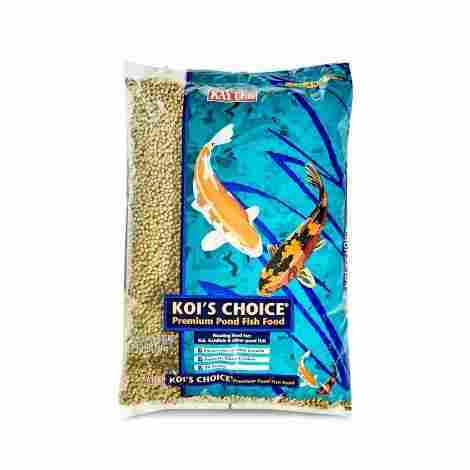 One of those is this fish food, Kaytee Koi’s Choice. It is excellent for Koi, Goldfish, and really any other pond fish. It can be used in all seasons and water temps and is highly digestible. It does float and provides all essential nutrients to keep your fish happy and healthy. The needs of your fish and your pond change with the weather, and oftentimes that means their fish food needs to as well. Not the case here. You can feed this fish food all year long, you’ll just need to adjust the amount of food you feed based on the temperature as fish do have a hibernation period when it gets cold and eat significantly less, or not at all. This fish food is highly digestible. It contains essential animal and vegetable proteins so that your fish will thrive. Because it is formulated specifically for your outdoor fish and they can digest it better, there is also less waste which ultimately means a cleaner pond for you. It is hard to compare the cost of fish food meant for big outdoor pond fish to warm water, indoor, tropical fish. Their needs are different and the amount and type of food change drastically. That being said, you get a lot of food here. It is more expensive, but your fish needs to eat more because it is bigger. Ultimately, this is a good deal for the amount of food that you are getting and will likely last you about as long as one of the above-listed items for tropical fish would last. 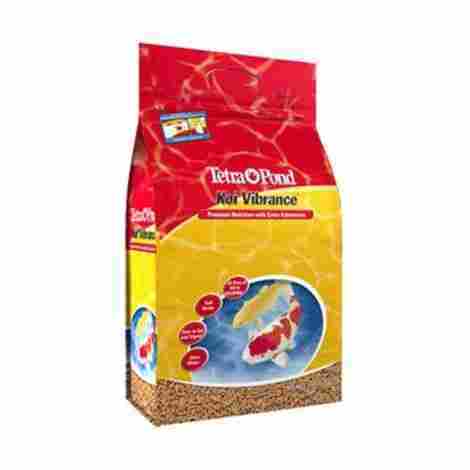 This TetraPond Koi Vibrance Premium Nutrition fish food gives you another option if you have pond fish to feed. It enhances color and really makes the reds and yellows of your Koi shine. It provides full nutrition and can be fed whenever the water is above 50 degrees. It makes a great staple diet for you prized pond fish. The center of this fish food is hollowed out. That makes it much easier for your pond fish to digest and really helps them to achieve their best metabolic efficiency. It is highly nutritional and will help your fish to thrive, which is exactly what you want them to do. The very first step to having a clean pond is having good, quality food to feed your fish. Much like in humans and other animals, all functionality relates back to the food that you take in. This is much more apparent in fish as you can see the effects that your food is having not only on them, but the water that surrounds them. Their food will affect everything in their little environment. You want to give them the best so that they can function the best and in doing so, your pond will be more clean and clear which is an added bonus. This Koi food is nearly double the cost of the last one. However; you do tend to get what you pay for. The quality is higher here and your fish will probably like this food better. Your pond will be just a little cleaner as well. If you have the means and the budget to do so, purchasing this food will benefit you in the long run. This fish food is perfect for a large variety of fish. It can be fed to fresh or saltwater fish and you will absolutely see health benefits shortly after switching. It will enhance coloring, help with healthy growth, provide greater energy, and have better egg production. The best part is that your fill will really enjoy this food and it will help them to live longer lives if started when they are young. Spirulina is a blue-green plant plankton. It is part of a natural fish diet and really helps them to thrive on a number of fronts. 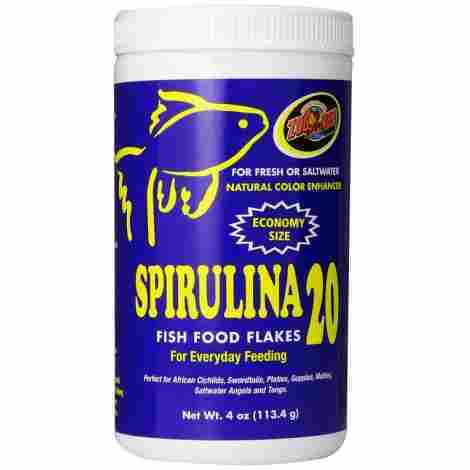 This particular fish food contains a full 20% spirulina and your fish will readily show you the difference. They will be healthier and happier, produce more eggs and more of them will hatch and survive longer. Spirulina contains essential nutrients such as vitamins A1, C, and even E.
This fish food is rich in raw protein, many thanks again to the spirulina content. Because of the raw, complete protein content, your fill will grow and thrive better than ever whether they are freshwater fish or saltwater fish. They will be more energetic and have more vibrant coloring. This is definitely one of the more expensive foods on our list. However; it is also one of the more premium foods on our list. The benefits that your fill will experience will far outweigh the costs of this food. As with most things in life, you get what you pay for and you are paying a higher price for a quality fish food with this Zoo Med's product. Sometimes the best sort of food is not a flake or a pellet but needs to be something different. 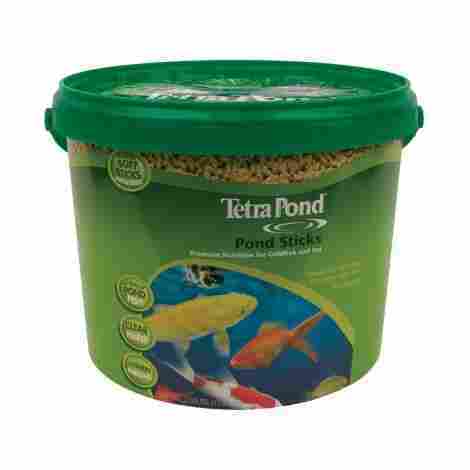 With this Tetra Pond food, you get sticks. They are a hard food initially, but soften on contact with water so that pond fish of all shapes and sizes can eat them with no trouble. They offer a healthy alternative to standard fish food and will help you to maintain a cleaner pond. When you buy this fish food, you are buying a quality food that will provide an excellent, nutritionally complete maintenance diet for your fish. It is chock full of protein, vitamin C, and fiber. Not only that, but it is easily digested and will help your fish to produce less waste and ultimately leave your pond clear. Your pond won't get polluted with food or food waste, thus minimizing algae growth. This fish food is made into floating sticks. It offers a better option for those who don't love flakes or the mess they tend to make. It is also a great alternative to pellets that just quickly sink to the bottom. These sticks float which allows you to enjoy the feeding experience nearly as much as your fish do. They will be able to swim to the top so that you can watch them eat and you can feel good knowing that they are getting the nutrition that they need. This fish food for your pond fish is fairly expensive. It'll last you a long time, however, and allow your fish to have a quality diet rich in the nutrients that they need. The entire feeding experience is enhanced both for you and your fish when you buy these pond sticks which ultimately makes them worth the extra money you will be spending. There are some fish that we still haven't covered a food for on this list - one of those is bottom feeders. These are your algae eaters and their needs are different than others as far as food goes. They don't like to eat food off of the top but instead need it to sink to the bottom. They also need a decent amount of fiber and veggie content in their lives and this will ensure they are getting what they need. This fish food is a great alternative to ensuring that your fish get all the vegetables they need! It includes a concentrated algae center made possible by extrusion technology. This makes them high in fiber and helps with healthy digestion. You can be sure that your fish are getting immune system support, vitamins, biotin, and omega-3 fatty acids to ensure health and decreased stress. Flaked fish food is a terrible option for bottom feeders which is why their food is shaped differently in order to meet their different needs. This fish food comes in a large wafer shape which is perfect for sucker mouths like catfish have. They sink right to the bottom, so they can be found where bottom feeders prefer to eat. This fish food for bottom feeders is relatively inexpensive. It can't really be compared to others on the list as it's the only one specific to its type. However; its price is no more expensive. If you have bottom feeders, this is a high-quality food that will keep them healthy and happy and will do the same to your wallet. Now that you’ve read through our list of the best fish foods available, you’re likely wondering how you choose exactly which ones will work best for you and your fish. We’ve gone over several great options for a wide variety of fish so you still probably have a few questions you want answered before you make a decision. What to feed your fish is a big decision, after all. Stress no longer, just continue reading and we’ll go over that too! The very first thing you want to determine is what type of fish you are feeding. There is likely a very easy answer to this question that you already know. Either you have fish already or are looking to get a particular kind of fish which has nothing to do with the food. But rather, you want to find food that matches the fish you have or are getting. There are many types of fish available. Some of the most popular and easy to come by is your standard, freshwater, tropical fish. These are your guppies, bettas, and cichlids that are very easy to get at any pet store. Another popular type of fish to have is pond fish – Koi, Goldfish, etc. that go outside. These types of fish obviously have different needs because they are very different fish. There is no way you’d want to feed them the same food! In a completely different boat are saltwater fish. Maintaining a saltwater tank is a very different ballgame than a freshwater tank. However; many fish that you would keep in a saltwater tank will eat the same foods as your freshwater tropical fish and it will state that right on the food label. An entirely different animal are algae eaters. They have different needs and different diets than any other fish. Even their eating habits are different and they should be fed accordingly. Ultimately, you can’t buy fish food without first identifying the type of fish. This will greatly narrow the list for you and help you come to a decision much more quickly. Welcome to the great debate when it comes to fish feeding. Do you feed your fish flakes, or pellet, or wafer? Maybe stick with shrimp or veggies or bloodworms? So, so many options. We’ll stick with the standard ones here and let you do more research into the less common ones. First off, let’s talk about flakes. Flakes sit at the top and really can feed a variety of fish. Top feeders love them and they are really easy for them to eat. They don’t typically pollute your tank as it’s easy to see how much you are feeding and how much is getting eaten. However; there is a little concern for air gulping while eating food from the top so do be aware that that can cause problems. It shouldn’t though if you only have top feeders. Hint on that: look at their mouths. If they turn up, they are a top feeder. What about a pellet? Pellets sink right to the bottom. Some more quickly than others and there are even ones that will linger at the top before going to the bottom. The argument here is that this is the more natural way that fish eat. In nature, they forage off the bottom and this mimics that fairly well. However; the food can rot at the bottom of your tank if left uneaten and may also clog up your filters. What constitutes a healthy and nutritious fish food? What are those little, paper thin flakes made of anyway? That is an excellent question and one that you should pay at least a little attention to. There are a few things that you really need for your fish. Like every living, growing thing they need a protein source. Most fish are omnivorous (meaning they eat both plants and animals) though some are carnivorous and others herbivorous. As such, most of the food that you find at a typical pet store will have both animal and plant protein in it. You want to make sure that the animal protein is closer to what they would find in nature. It should have something to do with fish and even better if they name the source of the fish – salmon, shrimp, etc. This should be your first ingredient. You also want to get a food that is fortified with vitamins and minerals. Some minerals they can come by naturally if you also have live plants in your tank, but if not it is a requirement. Minerals last a long time and won’t typically degrade once opened. That is not the case for vitamins though. Because of this, you are well served to only buy the amount of food that your fish will consume within a couple of months. Fish have a surprising pallet and enjoy variety and flavor. Because of this they will enjoy a little variety and would do well with a shrimp or bloodworms treat every once in a while. Make their lives a little more interesting by adding more variety to their diet. Just make sure that whatever you do end up buying, is quality with quality ingredients and your fish should thrive. Q: What is the shelf life of this fish food? A: Most fish foods are good for up to a year or longer. This largely depends on the shipment though, so make sure that you’re checking for expiration dates. Q: What is the protein content of this fish food? A: Again, this varies based on manufacturer and brand of food. Manufacturer websites will state the detailed analysis. Q: How long will this bag of fish food last me? A: Usually several months. There are several factors that will affect this including the type of fish, how many fish, how often you feed, etc. Q: Can I feed this fish food to my pond fish year round? A: It largely depends on the food. Some yes, others no. Be sure to read the instructions on your particular food bag. Q: What type of fish does this food feed? A: Most brands will list it in the title of the fish food what type they feed. Q: What is the best food for (insert your fish type here)? A: That answer obviously varies based on what type of fish you have, but as long as you stick to quality ingredients foods and don’t just buy the cheapest one available, you’ll be okay.